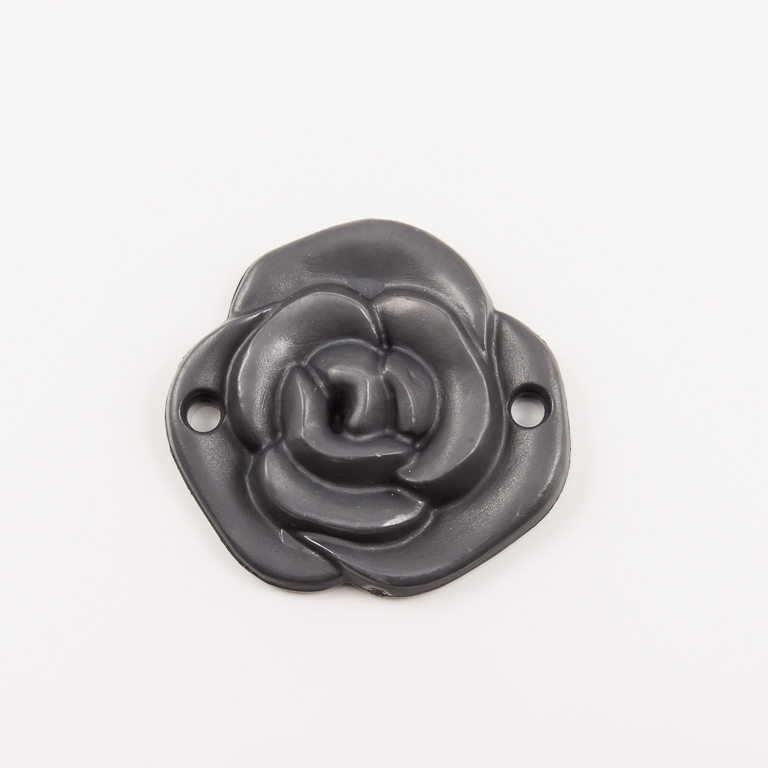 Plastic rose in gray color. It has two holes to be able not only to pass a string but to be sewn into a bag or shoe. Dimensions 4.5cm.